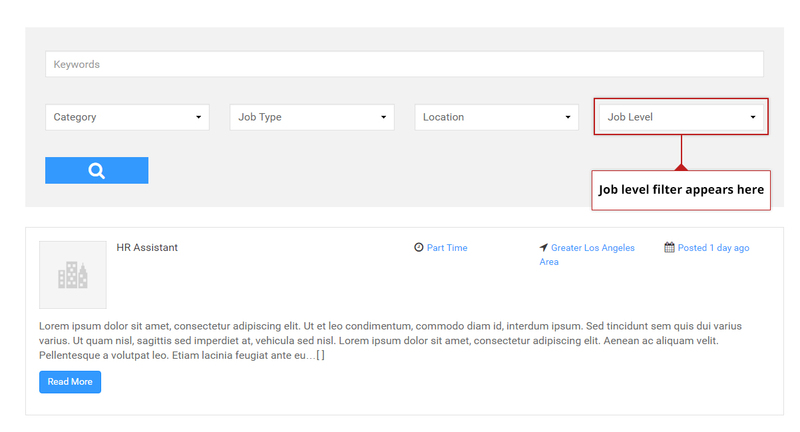 Simple Job Board Job Level Filter by PressTigers is an easy and light weight add-on that adds a job level filter to your job filters. This plugin is extendible and easy to use. You can add job levels from the dashboard. By using this add-on, you can list jobs on the basis of job level by using the shortcode ‘ [jobpost level=”job-level-slug”] ‘. Enable/Disable job level filter through global settings. Note Made it compatible with SJB new release 2.4.0. How to install & utilize the add-on? Provides company listing for jobs and front-end filters. Add company name, tagline, website, and logo from the dashboard.